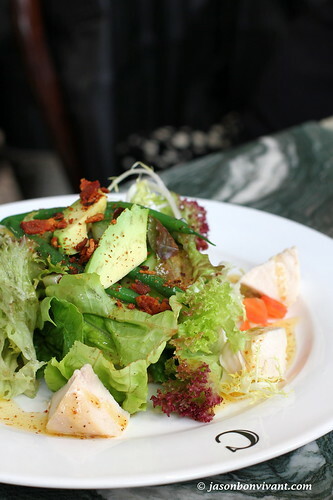 Grilled Organic Chicken Salad. I didn't try any but I do wonder if the Organic chicken would really make a huge difference? Perhaps, but one must understand that by declaring it as organic produce or product, it means there is a certain standards being complied with, often the process / procedures of how the produces or products are being cultivated and etc. It is through the implementation of such standards that the cost is often slightly higher than other non-organic food items. Warning! The two pieces of yellow items sitting on top of the salmon were ... chucks of butter, Pistachio butter to be exact. V was brave enough to examine the item by taking a bite! 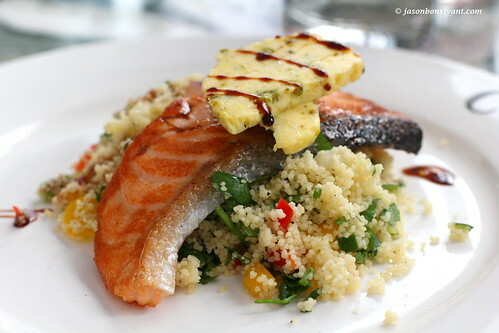 (it was exactly written on the menu, we just overlooked it haha) Full name of the dish was called Maple glazed salmon with lemon-herb couscous and pistachio butter. I only had a small bite and nothing spectacular and the couscous seemed to be too soft if I recall correctly. 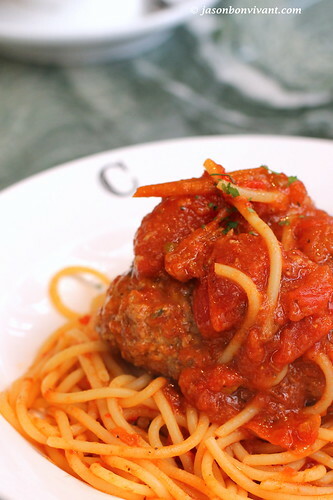 A simple Spaghetti with Meat Balls and Tomato sauce looked quite hearty but again, did not have the chance to try. The Organic Beef Lasagna al forno I did try and cleaned! Let me put side the question of whether the organic beef would make a difference to this dish because in both cases I would just finish the whole thing anyhow. 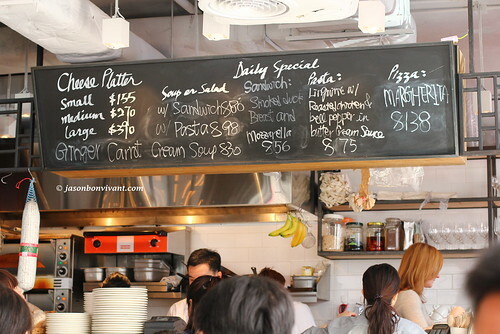 One of the key feature of the dish has to be the sizzling hot skillet that the lasagna was being served in. It was hot, cheesy and really flavorful! While cheesy in flavor, the minced beef retained its flavors in every bite. Don't expect many layers in this lasagna though, only a mere two layers, or was there just one? Anyhow, not much of layering here. But still, thumbs up! 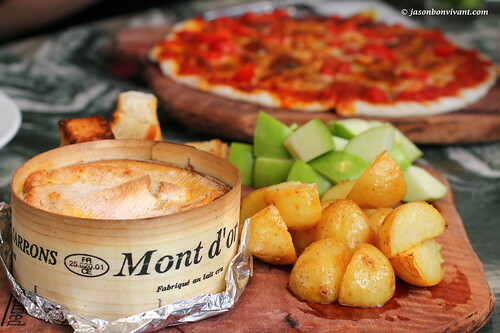 The star of the show was of course the Oven-baked Mont d'Or platter! Last time we had the Sweet Potato but this time it was just potatoes. The first batch of bread cubes were super HARD so we asked for a second replacement batch which we got without any trouble. For some reason I still prefer the one I had before likely because it was more ... baked? 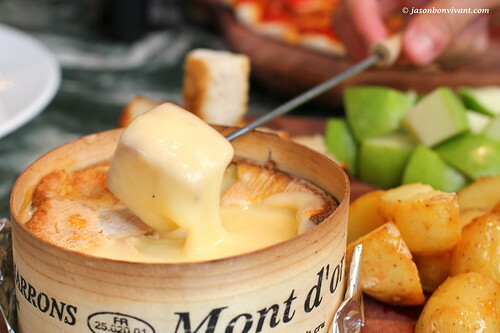 Not much to complain about here since we are talking about Mont d'Or, one of my favorites casual cheeses! What do I mean by casual cheese? Those that I would eat by the spoonful right from the box like ice cream while watching How I Met Your Mother can be considered my casual cheeses. Organic Beef Lasagna al forno - the skillet part was the best, keep the food fairly heated with strong cheese and beef flavors. The first batch of our bread cubes for the cheese was rock solid! Perhaps it can be an option to have sweet potatoes instead of just potatoes to go along with the cheese. 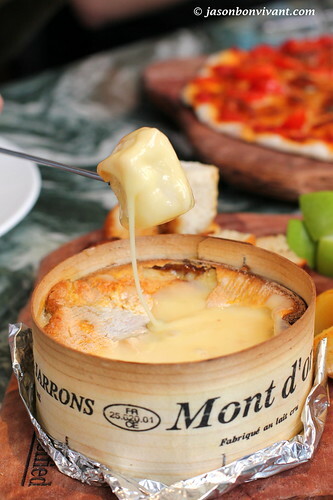 It is never enough when it comes to those Mont d'or cheese tubs! 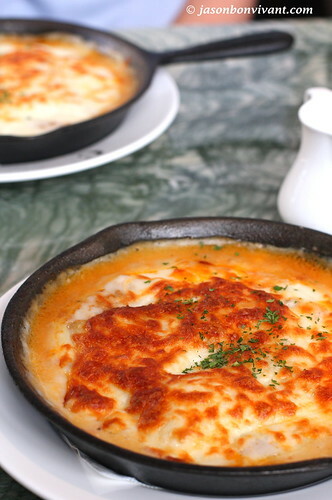 .. especially dangerous when its Winter ~ everyday you can't stop craving for warm melted cheese !! 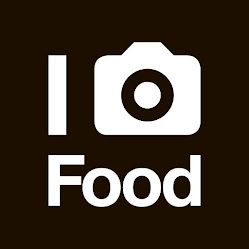 Ah I love cheese too (as you can tell from my blog name)...and the melted cheese here looks so good! Gonna put this place on my shortlist! Please indicate the item that you have interest on for prices,they are all brand new original sealed in factory pack with complete accessories. Bloody/Stupid/Idiot/Bluster Ari Tech Lmd... It's fraud ! They grabbed 60000 Rs from me !